Why Not . . . Savor the Sunset of Summer? I noticed it for the first time Monday morning as I began my day paddle boarding. Fewer people were on the roads, more animals were about (ducks, geese, etc.) and even fewer walkers and joggers were to be seen. It certainly wasn’t because fewer people want to work out, more likely it had to do with the the change in the season. Fewer tourists were enjoying they morning runs in Bend and more Bendites had either run early in the morning or were back at work. The weather too has become more temperate and calm, but it was the annual start of the tennis event in Flushing Meadows, the U.S. Tennis Open, that signified to me that, yes, summer is winding down. If we spend the summer months well for our individual needs, curiosities and personalities, the sunset of the season is sweet. It cannot be bitter because fall is truly magnificent and summer will return again. 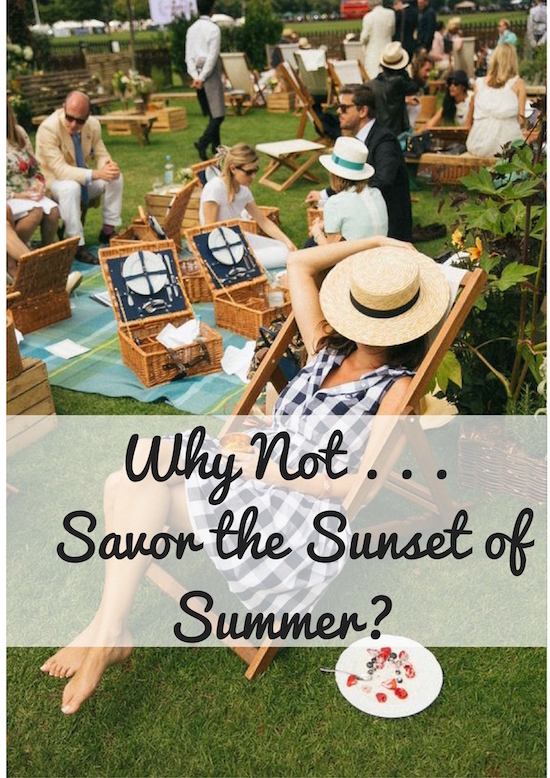 The sweet awareness that summer was spent well is a testament to you, the summer journeywoman who tasted what the season had to offer, indulged in what you were curious about and experienced what opportunities presented themselves. Bravo to you. Truly. You have figured out how to live well and that is no easy task. While I have mentioned a few of the signs that summer’s end is near, below are a full list of events and occasions that signal, at least to me (I would love to hear what your signals are), the sunset of summer is upon us. There are many that have already caught my eye. Stop by each Friday to read This & That to discover what is premiering each week. Our summer schedule is sweet, and each fall season never makes it much easier to work without them. 8. The possibility of rain! 9. The new theater season begins with new plays, musicals and events. Depending upon how your schedule changes from the summer to fall, what activities will you miss? What daily routines or rituals will be changing somewhat? Indulge and celebrate the last time (until next year) you will be able to savor these favorite activities again. Especially if your life’s schedule changes dramatically regarding your responsibilities or locales, carve out a day and do everything you want. Make it special. 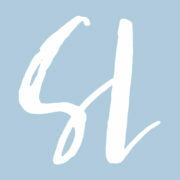 Perhaps it will include some of your favorite summer activities or perhaps it will include a bit of extra pampering. Each June, just before summer officially begins, I will sit down and set goals I want to achieve by the end. And so, at the end of the summer, I will take a moment (perhaps on my special day) and look back on all that was enjoyed, what I learned and what improvements in habits and progress toward goals were made. Sometimes we forget how much our live can change, evolve and grow in such a short period of time. Consciously choose to remember as it will bolster your confidence moving forward, but also remind you of the amazing life you get to live and be a lovely lesson to savor the everyday. Now that you’ve seen what is behind you, begin to look forward. What do you want your fall to become? How do you want to feel? What do you want to enjoy? What is getting in the way? What do you need? What do you need to get rid of? What are the small steps to help you attain what you know will cultivate a more contented everyday life and make progress toward larger goals? 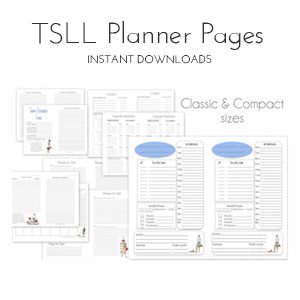 One of the TSLL Planner Pages that many people buy individually is TSLL Goals Planner Page as it makes clear what goals you want to achieve and then provides space to break down how to make it happen into small steps. Simple, clear, effective. A couple of years ago I shared the September Back-to-School/Work Checklist, and it continues to hold true for what I do as I look ahead as September begins. From the beauty and style component to preparation of our homes and the everyday pleasures we look forward to ensuring our days go well, simply taking a moment to look at the details can make a tremendously positive difference. ~View 27 more ways to savor the end of the summer season here. The gift of living on this amazing planet is that there are seasons. Granted, depending upon where we live, the seasons may be drastically different or barely display a distinct difference at all, but we do have them. And the gift of a change in season or knowing a change is inevitable is that it reminds us to savor the present, celebrate the journey and then realize there are amazing opportunities still be enjoyed ahead of us if only we choose to look for them. Have a wonderful last day of August. We had the most gorgeous sunset last night on our drive home from the beach. Rich crimsons, oranges, deep yellows at the bottom of a clear blue sky, dipping behind the Black Mountains on one side of the plain and, on the opposite side, shading the Pyrénées a fabulous amethyst. With shorter days, it’s also possible to appreciate a sunrise without having to be an extremely early riser. I love the freshness and quiet of the morning. Beautiful description. Thank you so much for sharing. Crisp apples and pears start appearing in markets! Back to school and hearing/seeing back-to-school advertisements. I’m a 7th and 8th grade English teacher and school began again on August 15th; it’s so early here in the Bay Area! You mentioned that the local symphony begins its season. If you are lucky enough to live in an area with a major orchestra that has a full 52-week season, then during the summer you were probably treated to lighter music at a beautiful outdoor setting, perfect for packing up a picnic with family and friends. Where I grew up, near Cleveland, we had Blossom Music Center, in a big field way far out in northeast Ohio, and summer weekends were spent picnicking (and the adults had wine, of course!) during the casual evening concerts. It was a wonderful way to introduce children to classical music, and I really do miss it! That sounds truly lovely. Thank you for sharing. For me the end of summer is signaled by the return of students to campus. This year I made a point of walking through campus at lunchtime and people watching. For me signs that summer is ending and fall beginning include: school buses back in the neighborhood, fewer Mom and Pop fresh food stands open in the community, my summer flowers fading and gold, purple and copper colored mums freshly stocked on nursery shelves. Finally, the strongest sign of summer’s end for me is seeing the last days of August on my calendar. Without fail it invokes a mixture of sad feelings that the days of less responsibilities (illusion perhaps that I cling to) are ending and happy feelings anticipating the gifts of autumn and in particular, the October trip to see the covered bridge festival this year. A covered bridge festival sounds like a wonderful event to experience. 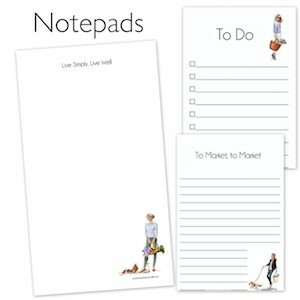 Thank you for sharing such a lovely list of reminders and things to appreciate.